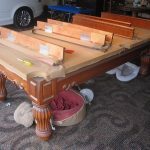 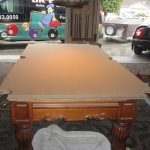 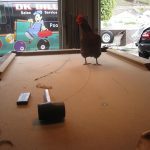 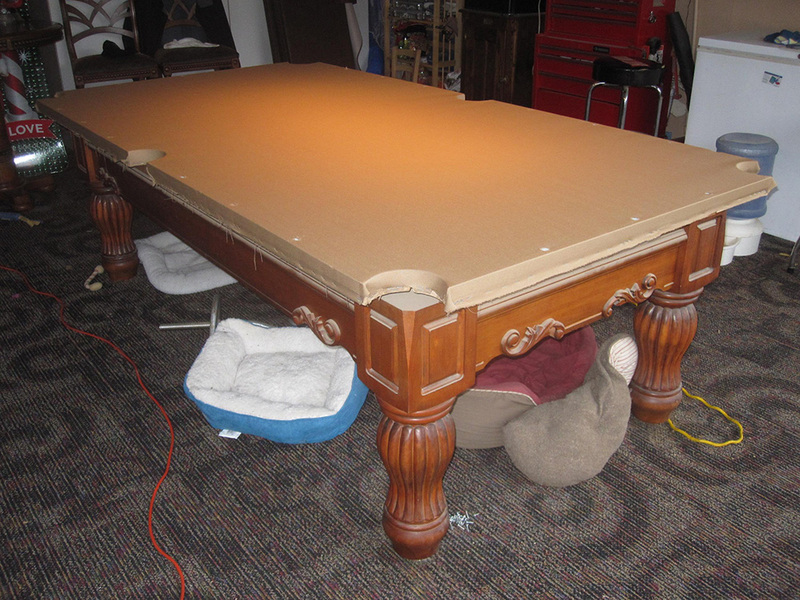 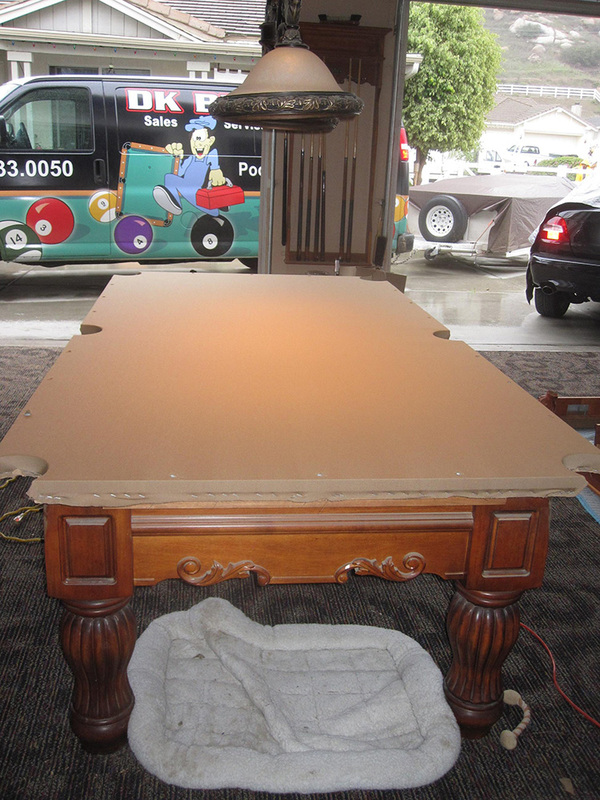 Last week we were hired by clients in Norco, CA to recover their sliced pool table. 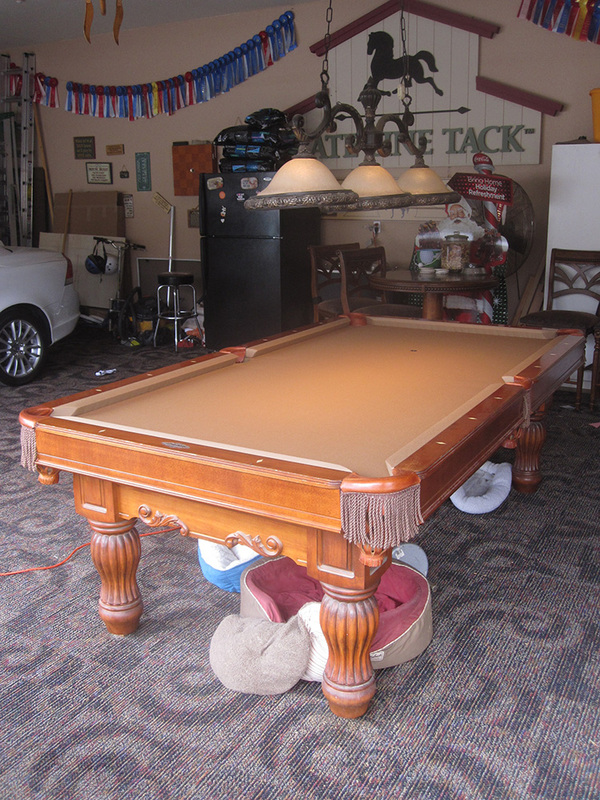 This eight foot Brunswick Billiard table is setup in the garage. 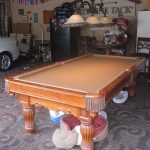 Apparently Freddy Kruger and Edward Scissorhands were dueling it out playing a race to 10 in nine ball. 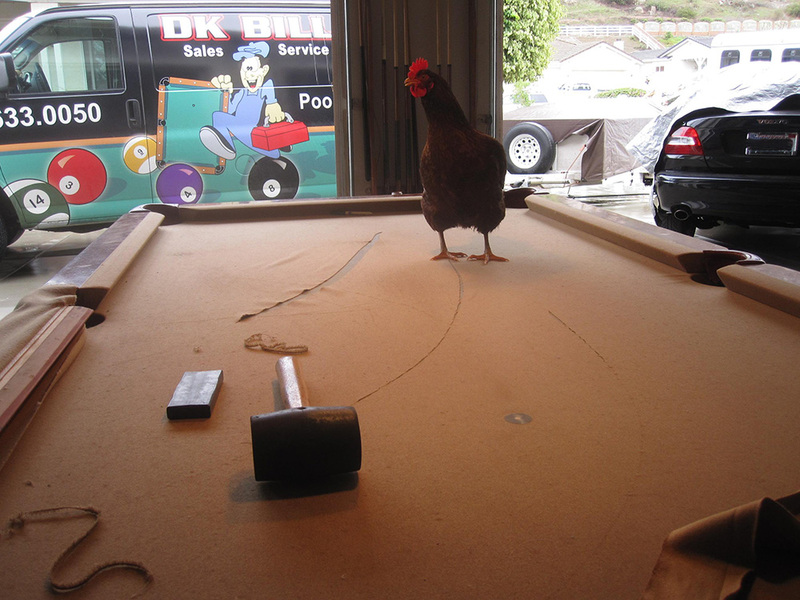 When Freddy broke the sixteenth rack and pocketed the nine on the break, winning the series. 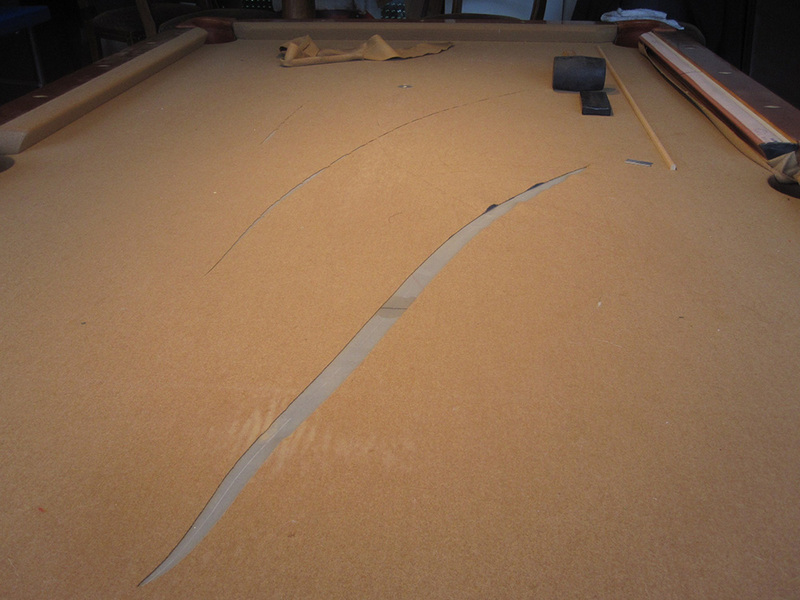 Edward just lost it, he slashed at the pool table and this is the result. 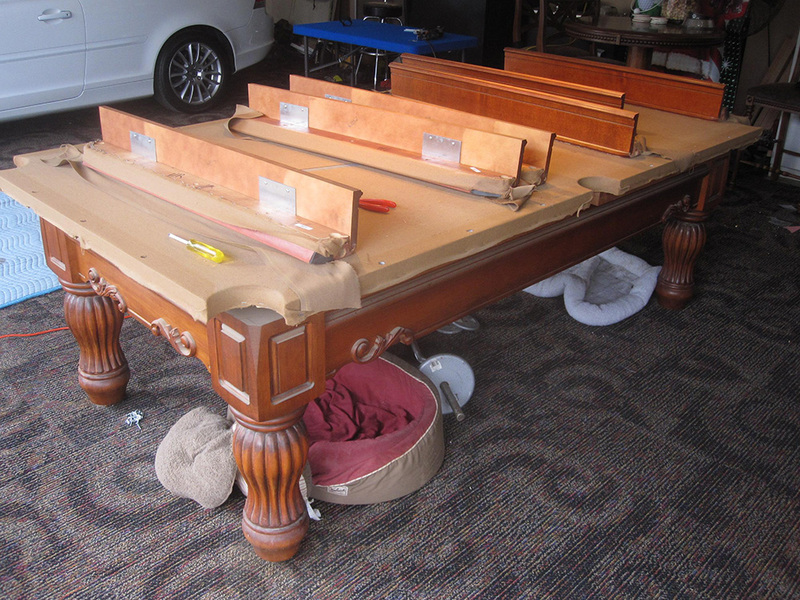 Whether your friends play with knives or your wife was just enraged because you just bought a new kayak. 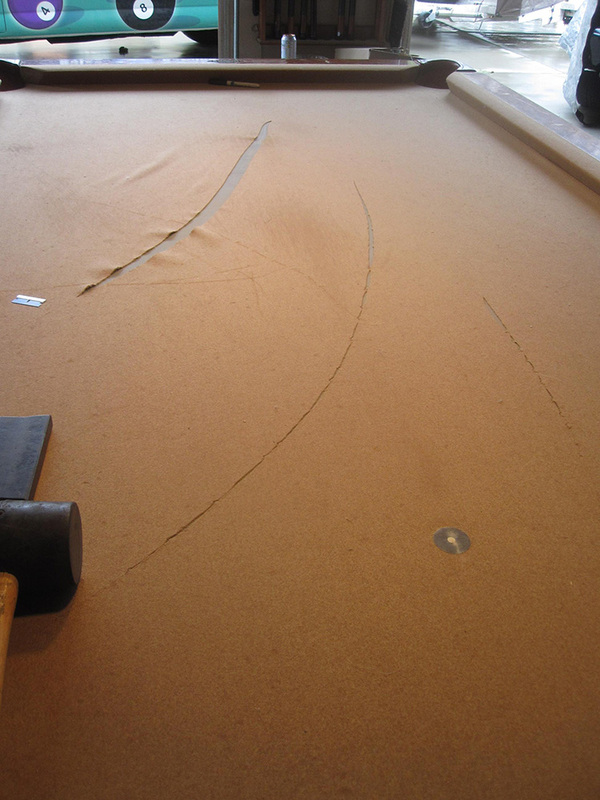 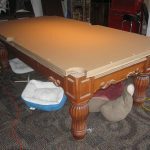 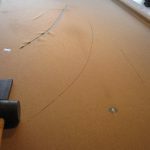 If your old pool table needs new felt, give us a call.